If you love to explore, go on expeditions, hike and climb mountains, or if you work in dangerous locations, remote parts of the world, or on your own, then its crucial that you own your own GPS Tracker. GPS Trackers use special technology to track your location, and send out an alert if you become lost, injured or disorientated. Some trigger alerts automatically based on your geographical area, and others do so manually. 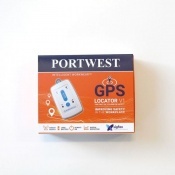 Whichever you need, we encourage you to check out our wide range of GPS trackers, so that when you are stranded on a mountain, or lost in a forest, help is never too far away.